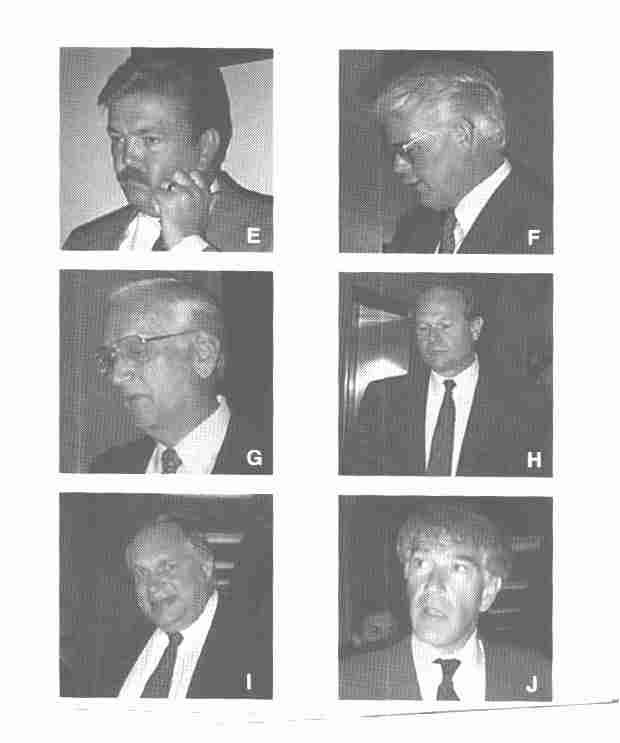 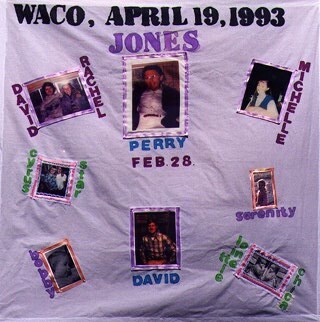 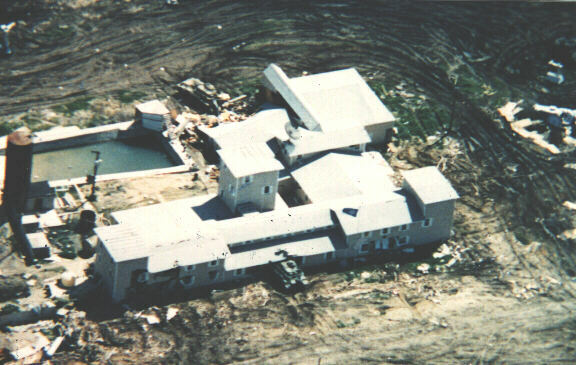 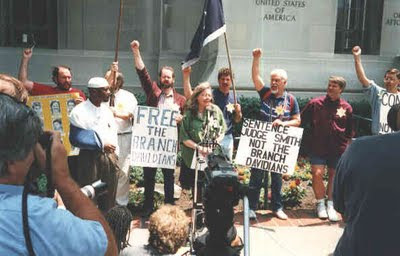 Just a few items to remind us that the Federal Bureau of Investigation murdered 76 Branch Davidians - mostly women, children and elderly - on April 19, 1993. 51 days after AFT murdered six others. 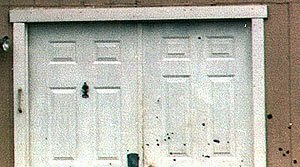 Photo shows bullet holes at front door where David Koresh and his father-in-law were shot as Koresh tried to cooperate and take a search warrant. 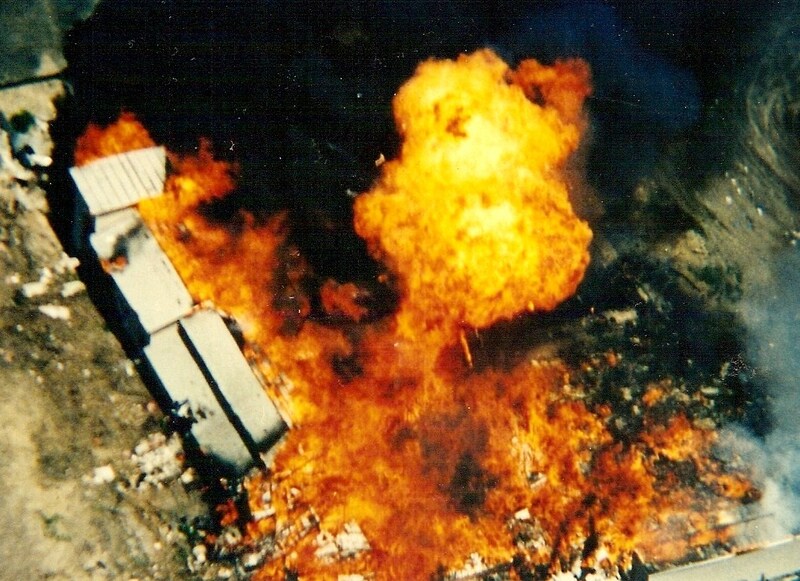 Agents later claimed the warrant had gotten "all shot up in the truck." Koresh's father-in-law died a few days later. 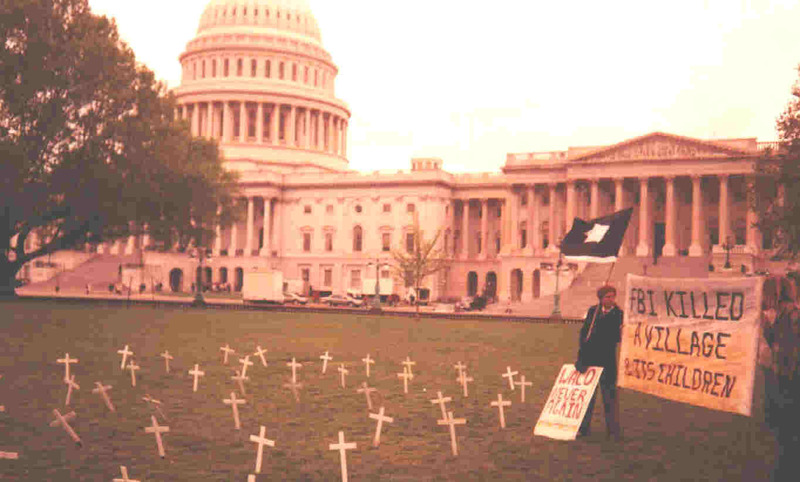 Check out my book THE DAVIDIAN MASSACRE for more details. 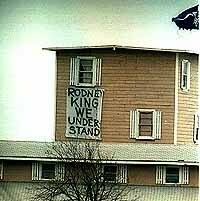 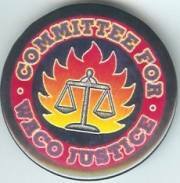 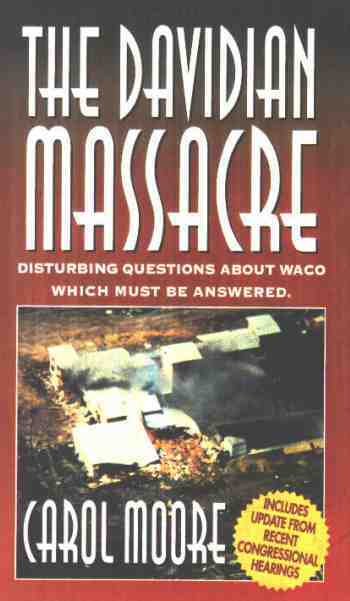 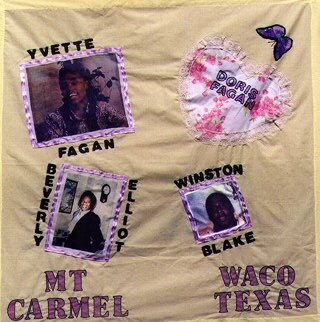 "I am indebted to Carol Moore's well-documented work, The Davidian Massacre: Disturbing Questions About Waco Which Must Be Answered (1995)". 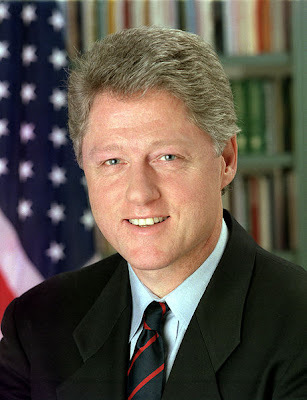 Ambrose Evans-Prichard in notes in his The Secret Life of Bill Clinton. 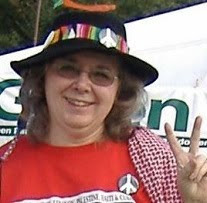 Update 4/27/11: Listening to a representative of the Israel Project debate a Palestinian activist on RussiaToday, I had a real deja vu to Waco. The mighty power pretending to negotiate with the captive victims while it takes more and more land, sets up a tighter perimeter, drives the captives to irrational acts and then claims they are the culprits and the mighty power is just trying to help them.